Continuing the legacy of one of Cleveland Heights’ oldest businesses. 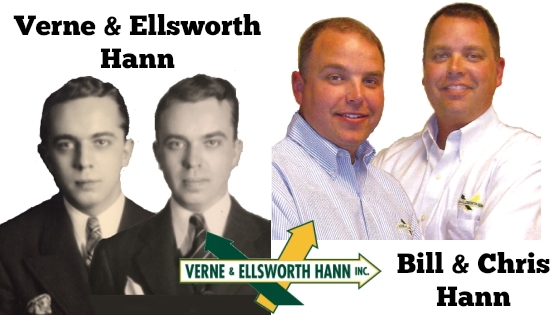 Verne & Ellsworth Hann’s deep community roots truly set us apart from the competition. Our company moved to Cleveland Heights in 1957, and we are currently one of the oldest family-run businesses in the city. We are actively involved in the Cleveland Heights business community and have received many local honors, including Best of the Heights. Owners Chris and Bill Hann – along with our dedicated team – are proud to service our Cleveland Heights neighbors with comprehensive installation, maintenance and repairs of HVAC and plumbing. Our company specializes in steam and hot water boilers. If you live in Cleveland Heights and the surrounding area and need help with your heating or cooling systems, look no further than Verne & Ellsworth Hann!